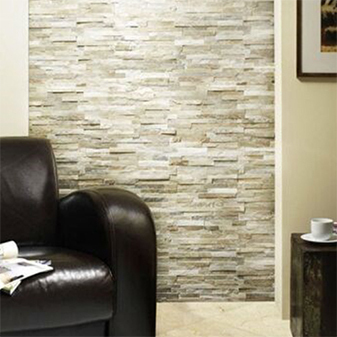 The Nepal Tile Range offers a wide selection of beautiful elegant natural stone wall tiles. When installed will transform your living space. Each tile has soft warm tones in the different coloured stones which give each tile a unique rustic feel. The Nepal Tile is not suitable for the inside of showers or wetrooms as the tile cannot be grouted or sealed. 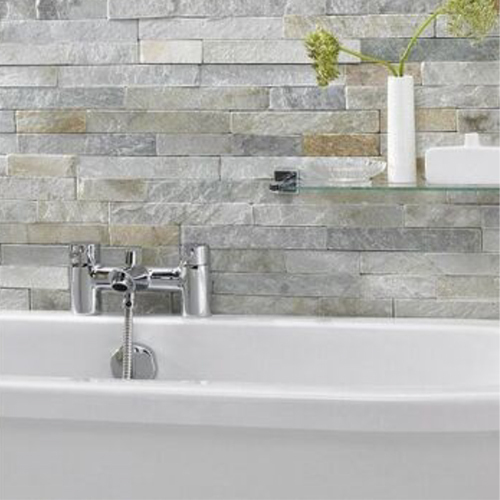 If you would like the Nepal Tile in your bathroom we advise you to keep the tile out of direct contact with water.